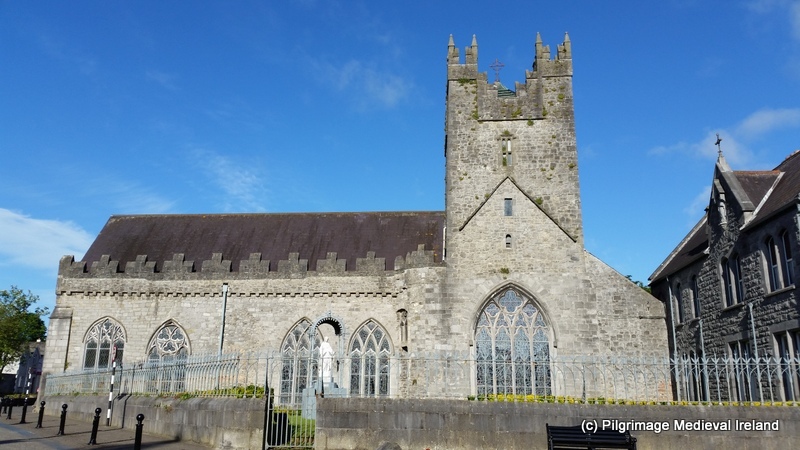 Black Abbey in Kilkenny city is a Dominican priory founded c.1225 by William Marshall. The church which still survives was dedicated to the Holy and Undivided Trinity. The abbey gets the name ‘Black Abbey’ from the black robes worn by the Dominicans, also known as the Blackfriars. The Dominican priory of ‘Black Abbey’ in Kilkenny. The priory was located outside the medieval walled town of Kilkenny, within its own walled precinct. The entrance from the town into the precinct was via Black Freren Gate. 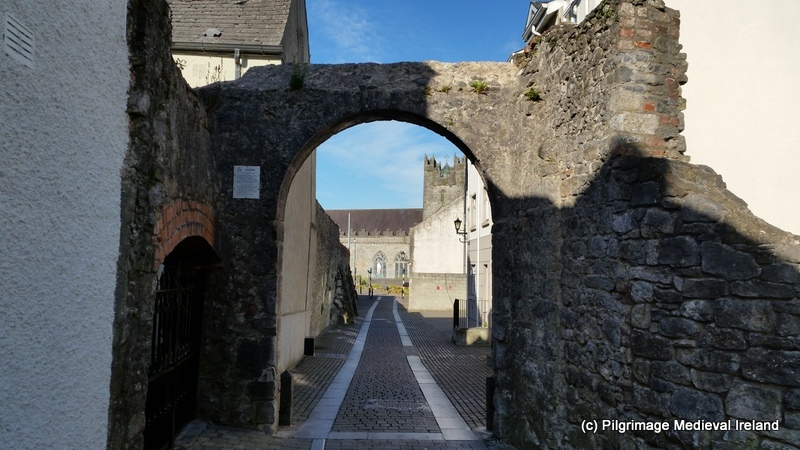 This is the only medieval gateway into the town to survive today (pers comm Cóilín Ó’Drisceoil). Black Freren Gate, a medieval gate providing access to the medieval town of Kilkenny. Much of the fabric of the medieval priory church survives and today the building is used as a parish church. This is a multi-period building, with a nave and south aisle of thirteenth century date, a number of the surviving windows date to the fourteenth century, while the crossing tower was erected in 1527. The crossing tower at Black Abbey built in the year 1527. Alterations were carried out to the building in the eighteenth century, when the choir was demolished and in the nineteenth century. ‘ representing God the Father, with God the Son on the cross between his knees, and the Holy Spirit above him, between the Father’s uplifted hands’ (Hunt & Harbison 1976, 318). 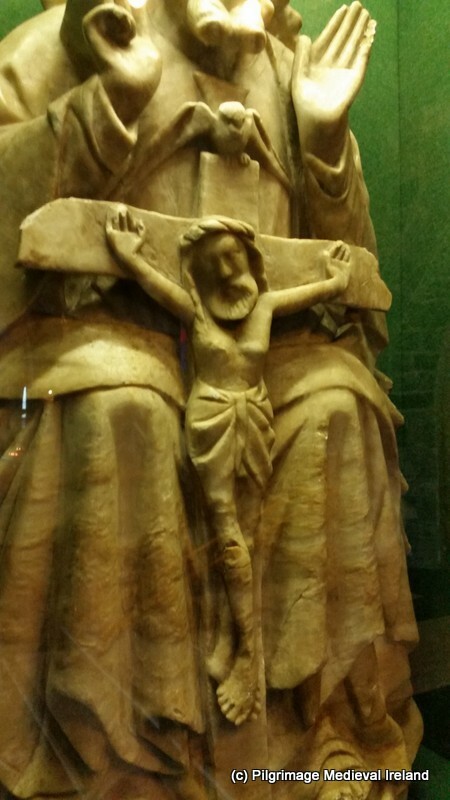 Medieval statue of the Trinity carved from alabaster. The statue is made of finely carved alabaster and it is thought to date to the fifteenth century. 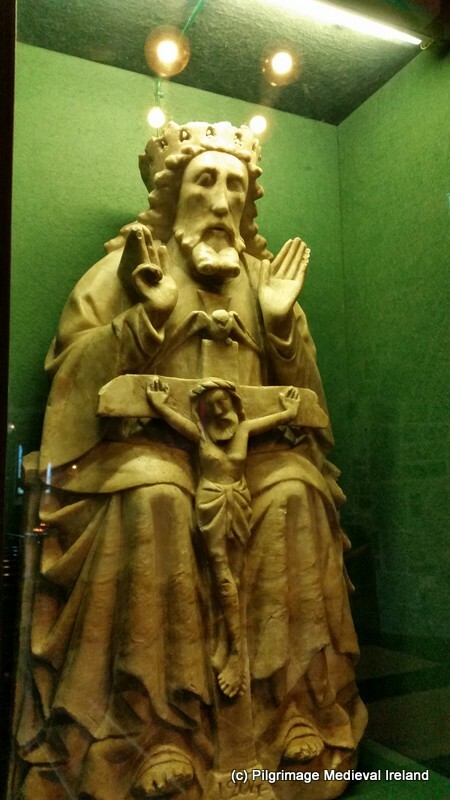 The Christ figure of Trinity statue at Black Abbey. 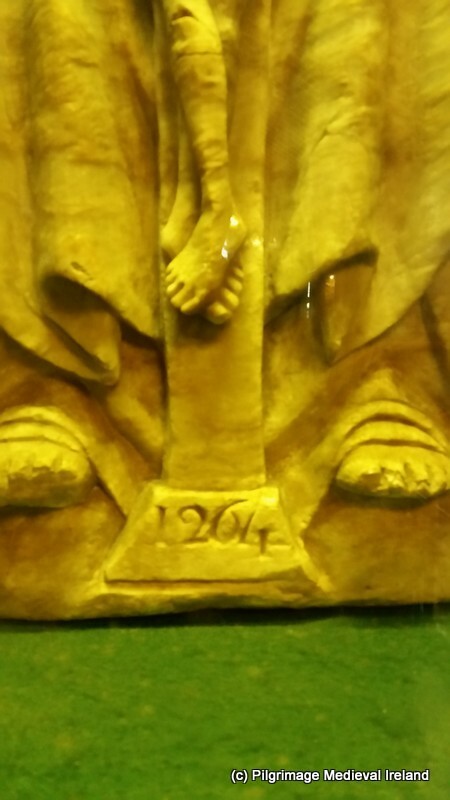 The date 1264 is carved at the base of the cross and Harbison and Hunt (1976, 318) suggest the date was inscribed on the base of the statue at a much later date probably sometime in the eighteenth century. According to tradition the statue was found in a blocked-up niche in the south transept of the church and came to light during restoration work in the early nineteenth century. Today the statue is on display within the church and is just one of many interesting features within the church. Hunt, J. & Harbison, P. 1976. 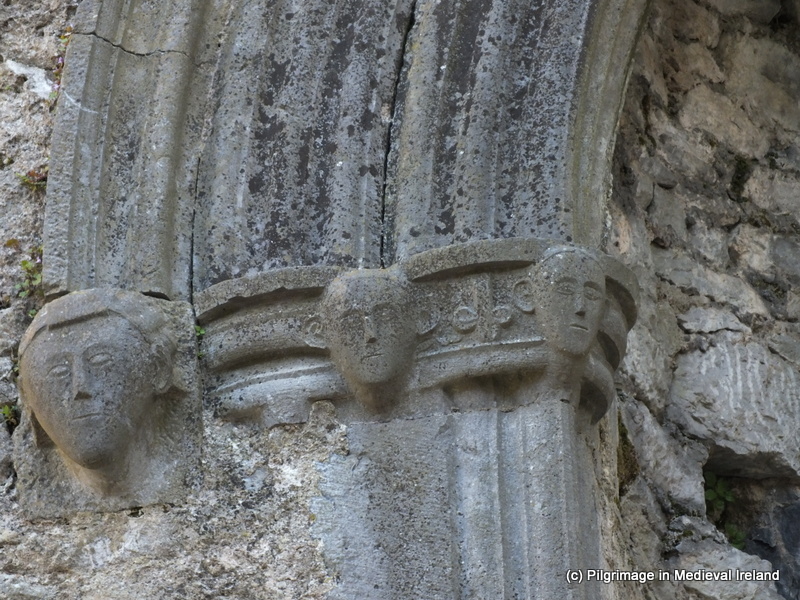 ‘Medieval English Alabasters in Ireland’, An Irish Quarterly Review, Vol. 65, No. 260, 310-321. Roe H. M. 1972. ‘A medieval alabaster figure, Black Abbey, Kilkenny’, Old Kilkenny Review, No. 24, 33-36. Kilcormac is a small village in Co Offaly, situated on the N52 approximately 13 miles south-west of Tullamore and 10 miles north-east of Birr. Located within the Catholic church, The Church of the Blessed Virgin Mary, built-in 1867, just off the main street, is a late medieval statue of the Pietà. In the anatomy of the Christ every muscle and vein are deftly shown; while the rich broken-edged folds of the Virgin’s drapery express and exuberance suggesting that the statue dates no earlier then the late 16th century (MacLeod 1947, 62). 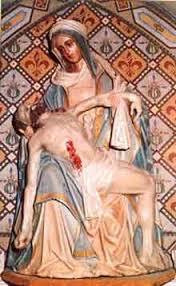 Local tradition holds the Pietà came from Italy through a member of the Magawley family of Tremona, in Kilcormac. It originally stood in the old parish church administered by the Carmelites. 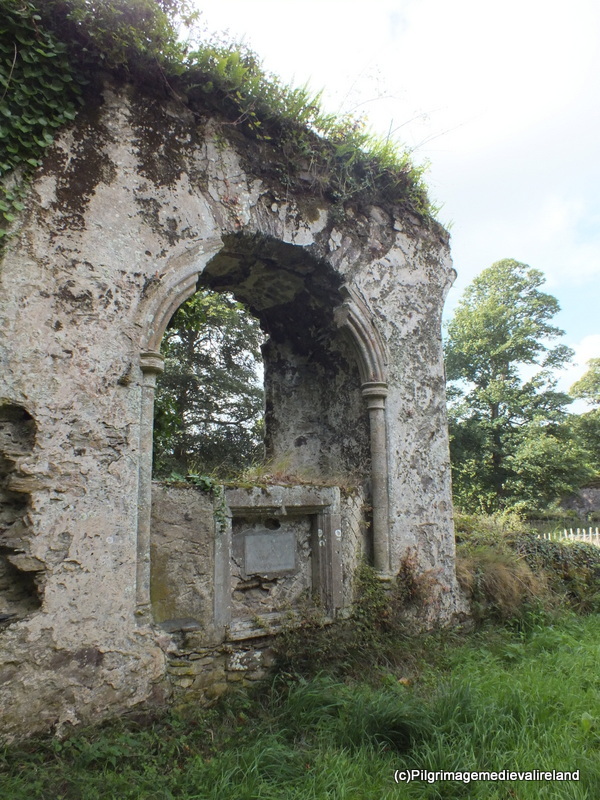 A Carmelite priory had been founded at Kilcormac in the late 1430s by the O’Molloy family, it was later dissolved during the Reformation and reverted to the role of parish church. The date of the statute suggests it was likely donated after the dissolution of the priory after St Mary’s became the parish church. It almost left the parish some years after that when a priest, who was moving to Borrisokane, took it with him! However the parishioners brought it back and it has remained in the parish church of Kilcormac to this day. Today it is housed in the modern church (MacLeod 1947, 62) and there is great devotion to the statue in the area. The statue is well worth a visit if you are in the area and give a glimpse of the type of objects the one adorned our late medieval churches. MacLeod. 1947. 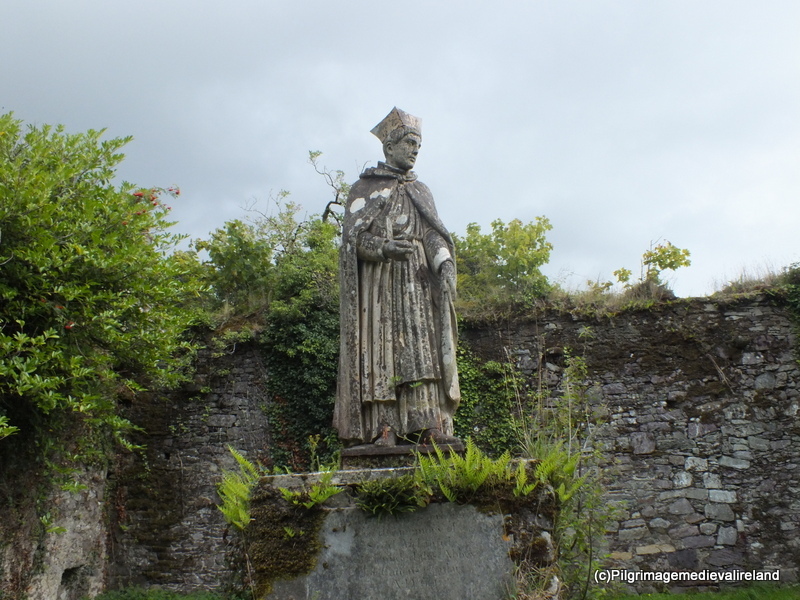 Some Late Medieval Wood Sculptures in Ireland. JRSAI Vol. 77, No. 1, 53-63. Molana abbey has been on my list of places to visit for a such a long time and I finally got my chance this week and boy was it worth the wait!! 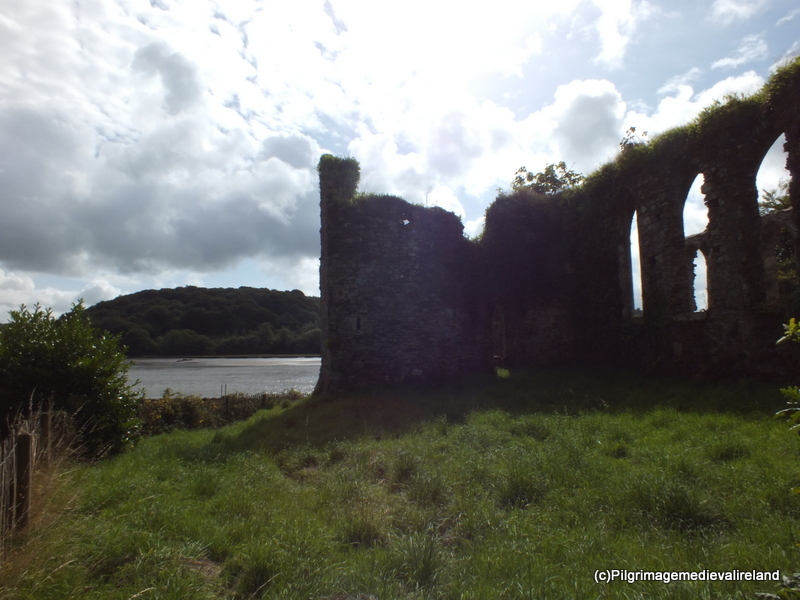 The abbey is located on an island in the Blackwater estuary on the Ballynatray estate just outside of Youghal. On private property the site is open to the public during the summer months on Tuesday, Wednesday and Thursdays. Molana was founded in the 6th century by a little known Irish saint called Maol Anfide, a contemporary of St Mochuada of Lismore. The saint built a monastic settlement here on a small island called Dairninis or the ‘island of the oak’ . No architectural evidence remains of this early settlement and today the ruins on the island date to the late 12th and 13th century. 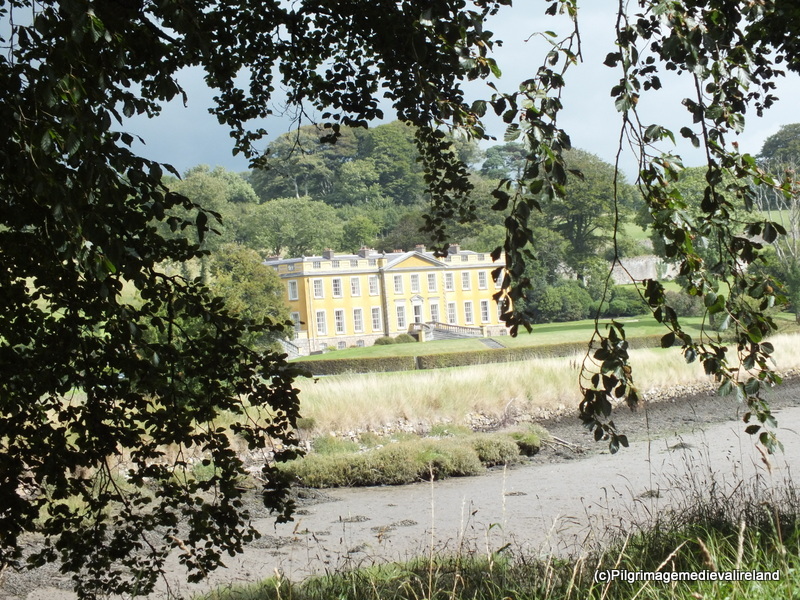 In 1806 Dairninis Island was joined to the mainland by a causeway and bridge by Grice Smyth the then owner of the Ballynatray estate. 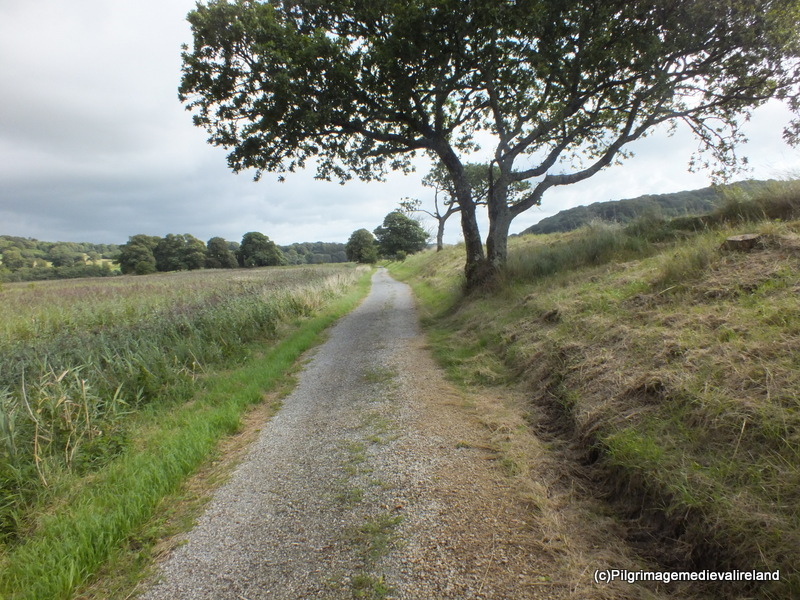 I was delighted to see oak trees still growing on the island and along the causeway continuing the tradition of the place-name origins for the site. 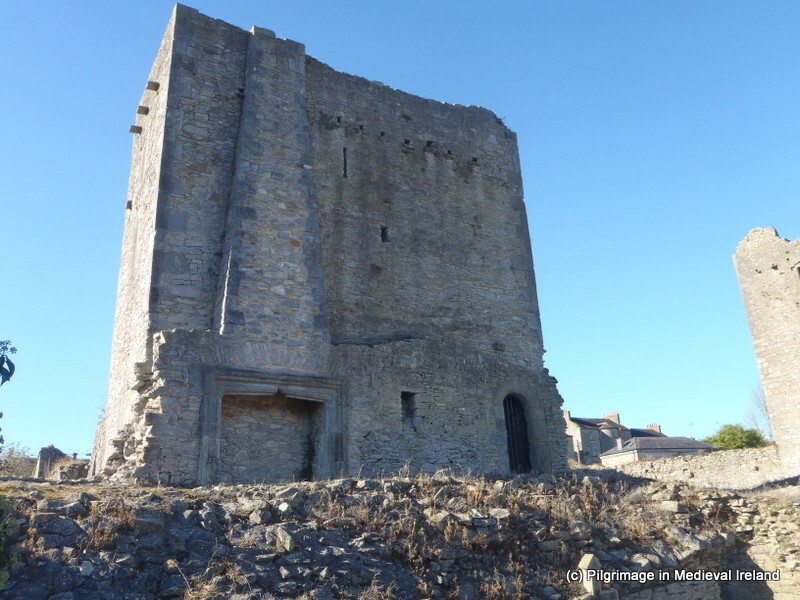 By the early 8th century, Molana was a major stronghold of the Céili Dé (Servants of God), a monastic order determined to reform the church. Its abbots subsequently played a key role in the subsequent introduction of Continental ideas to Ireland. Indeed, as Dr Dagmar Ó Riain-Raedel noted in her thesis on the island, the Abbey’s greatest hour came in about AD 720 when its Abbot, Ruben Mac Connadh of Dairinis, working with Cu-Chuimne from the island monastery of Iona, produced the Collectio Canonum Hibernensis. This was a profoundly valuable and important book for the church, written in Latin, effectively dictating the first rules of Canon Law. Its very title reflects its origin as a compilation of over two hundred years worth of canon law and synodal decrees. The text itself drew heavily upon previous ecclesiastical regulations and histories, all dating from the centuries prior to 725. It also included papal epistles, acts of synods, eccleiastical histories, a definition by Virgilius Maro Grammaticus, a compusticial tract by Pseudo-Theophilus, spurious ‘Acts’ of the council of Caesarea, the so-called dicta of Saint Patrick and several quotes from all but one of the works of Isidore of Seville. Despite this fascinating early history no physical remains of what was once an important and influential monastery are to be found. 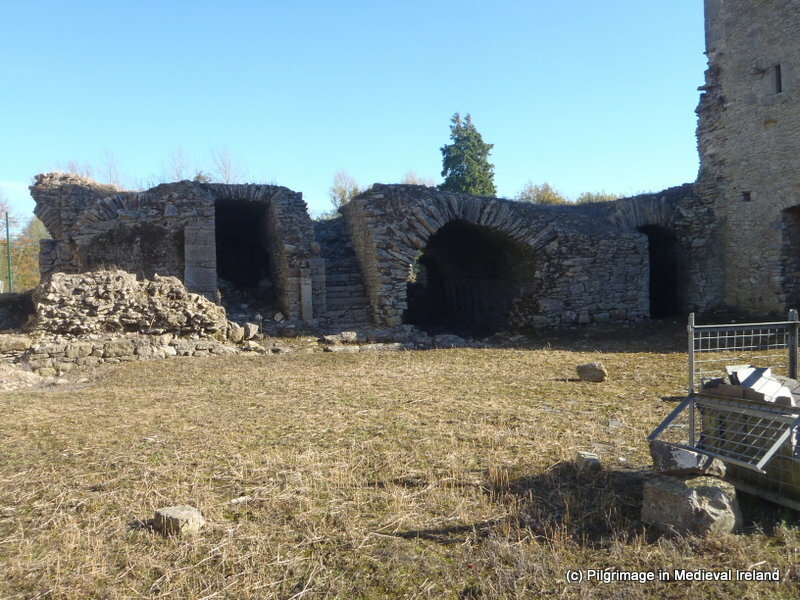 By the 12th century Molana abbey was re-established as an Augustinian Priory by Raymond le Gros FitzGerald, who tradition holds was buried here. References to the later history of Molana are sketchy. Interestingly in 1450 Molana was at the centre of a scandal. Pope Nicholas V compiled a mandate for the investigation of claims that the Prior of Molana John McInery, was guilty of simony, prejury and immorality. The abbey was granted an indulgence in 1462, by the then Pope Pius II , to all those who came here to pray and to give money to the maintenance of the abbey. Such an indulgence would have made the abbey a focus of pilgrimage for at least the duration of the offering of the indulgence. The names of some of the later priors of Molana are also mentioned in historical sources.The abbey was suppressed in 1541 and fell into the hands of Sir Water Raleigh. By the 19th century the abbey was in possession of the Smyth family and was a focal point on their estate, with their stunning Georgian mansion looking across at the ruins. Today the sites consists of a number of ruined buildings that date to the late 12th /13th century. The buildings included a church, monastic buildings and a cloister all built of a red sandstone, which gives the site a lovely warm feeling . There are a number of cracks in the walls so some of these building do not appear to very stable. The church is large (17m x 7.6m) with an undivided nave and chancel . The nave is the oldest part of the building and appears to incorporated part of an earlier church. The chancel was a later addition and dates to the 13th century. 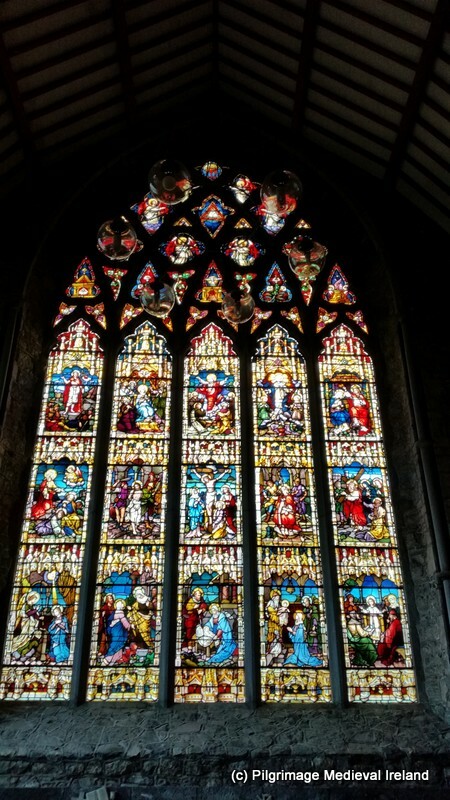 It has eleven large lanclet windows (tall, narrow windows with a pointed arch at its top) which must have looked quiet magnificent when the church was in use. The east wall of the church is in a poor state of repair but traces of a decorated moulded window embrasure still remain. 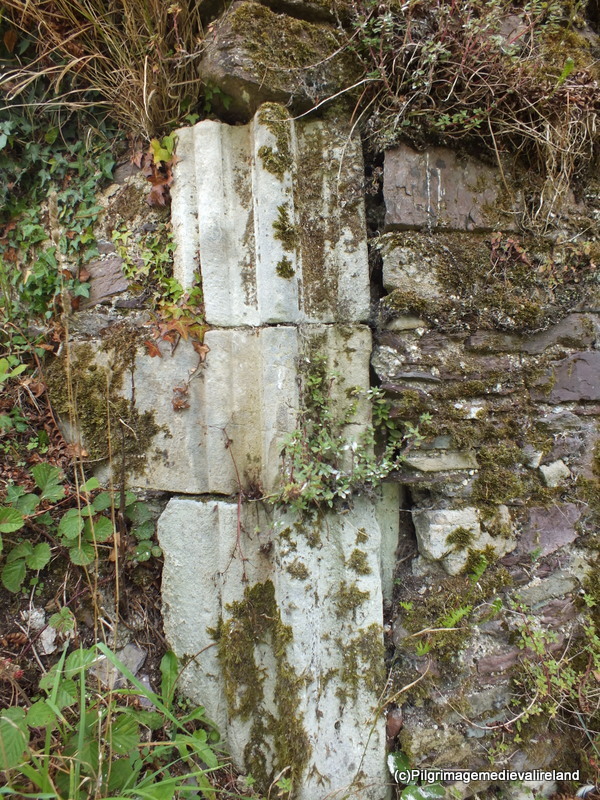 Attached to the north wall of the chancel are the remains of a two-story building which was probably used as the abbot’s or prior’s accommodation. It has a fine pointed doorway of dressed sandstone and a spiral stairs. At the centre of the ruins is a small cloister (19.65m N-S; c. 14.75m E-W). 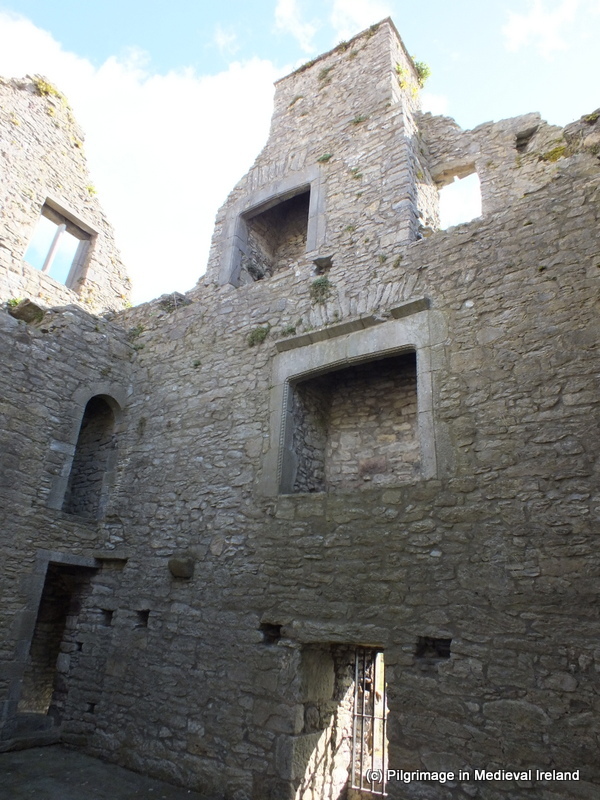 There is no evidence of an arcade but corbels in the outer walls of the surrounding buildings suggest a roofed walkway. Today the cloister is dominated by a 19th century statue which depicts the founding saint. The saint is dressed in a cloak and robe with a very pretty floral pattern on the hem. The building on the SW side of the cloister has traces of plaster and some orange paint which may indicate traces of a wall painting. 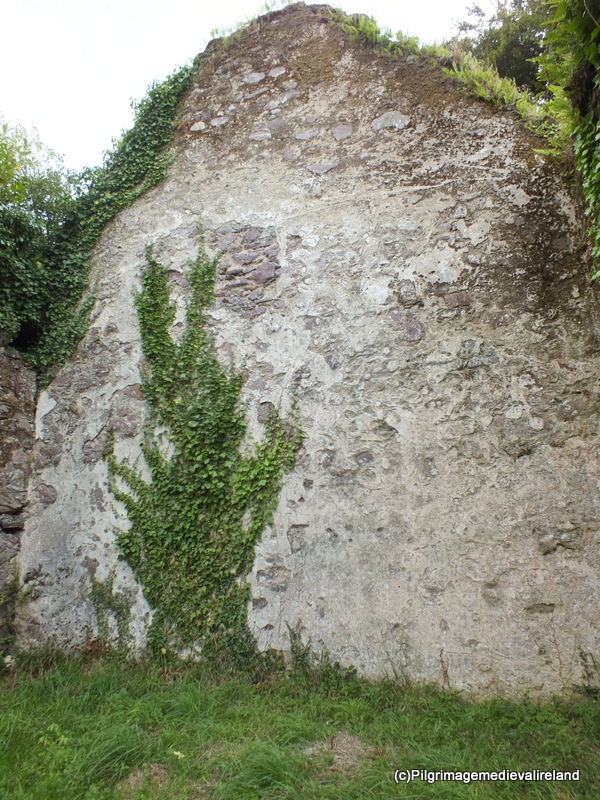 According to the Archaeological Inventory for Co Waterford in 1908 traces of a wall painting were noted in the refectorum. The fascinating history, architectural remains combined with the stunning setting all make Molana a truly amazing, spiritual and peaceful place. Moore, M. 1999. 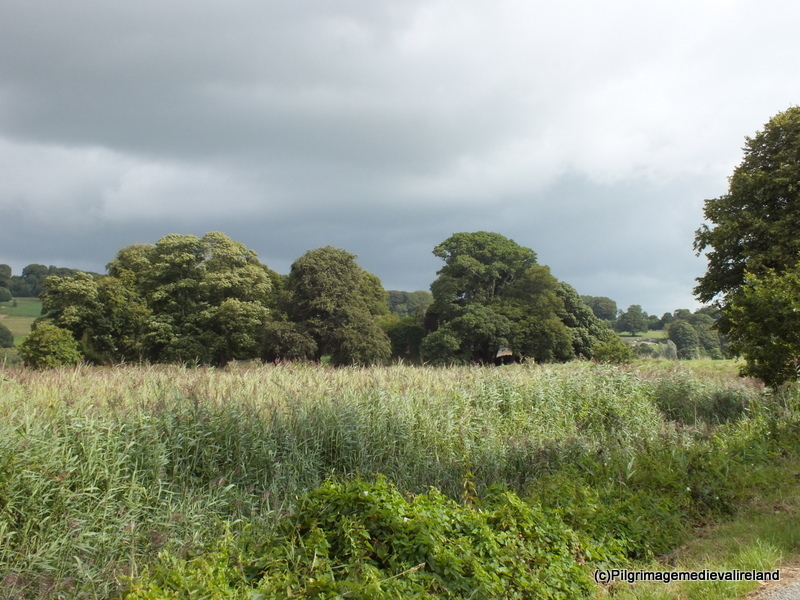 Archaeological Inventory of County Waterford. Dublin: Stationery Office. Power, Rev. P. 1898. 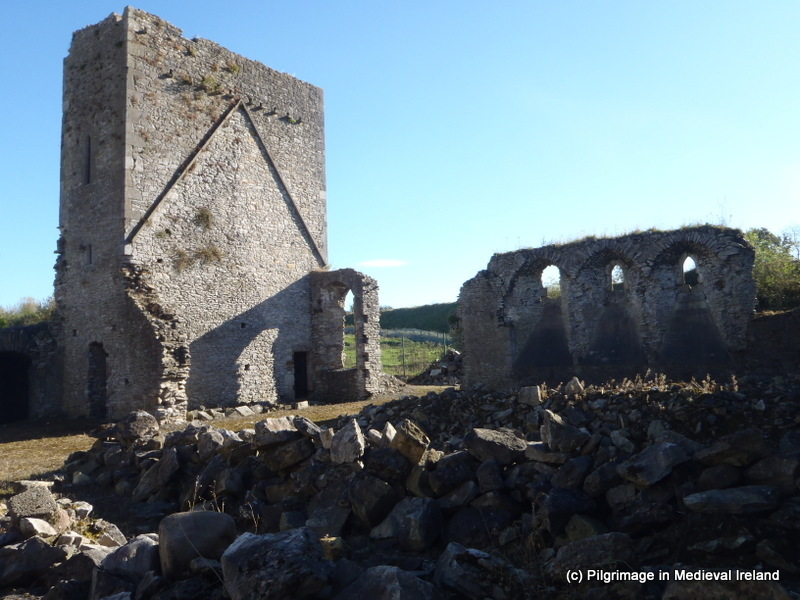 ‘Ancient ruined churches of Co. Waterford’, WAJ 4, 83-95, 195-219. Power, Rev. P. 1932. ‘The abbey of Molana, Co. Waterford’. JRSAI 62, 142-52. 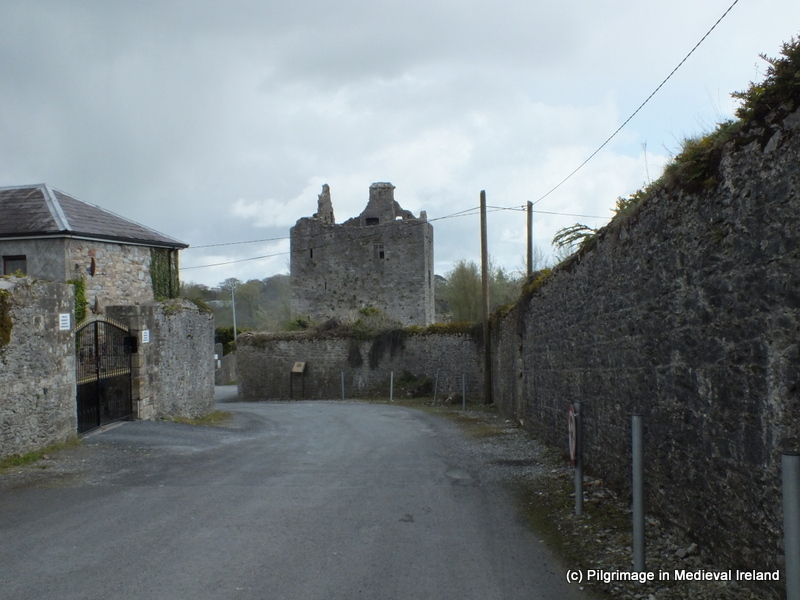 The town of Cahir one of the stops on the The Butler Trail, a new historical trail that links three of Tipperary’s medieval towns Clonmel, Cahir and Carrick-on-Suir and a series of historic sites associated with the Anglo-Norman Butler family. The town of Cahir is probably best know for its magnificent castle which attracts thousand of tourist each year. The castle has also been used in the filming of movies and TV series such as the Tudors. The town also has some beautiful medieval churches which are often overlooked. 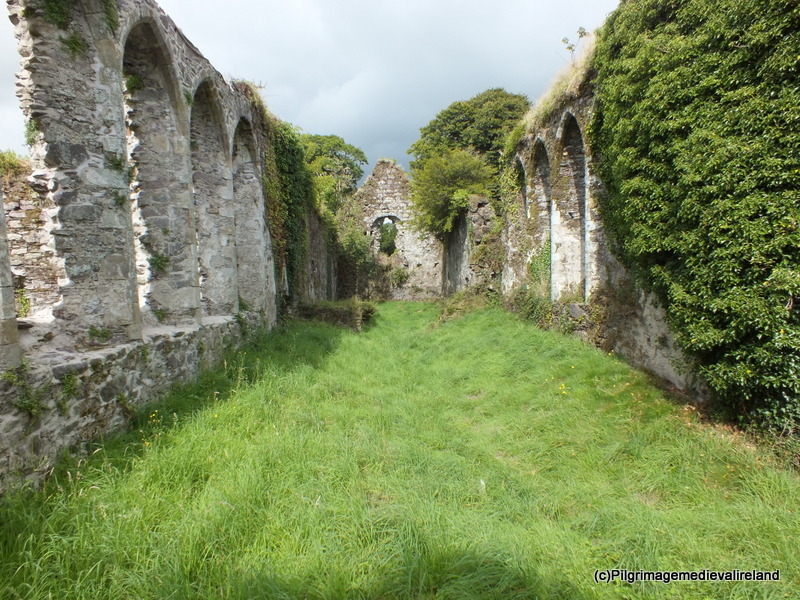 This post will focus on the impressive remains of St Mary’s Priory, known locally as Cahir Abbey. 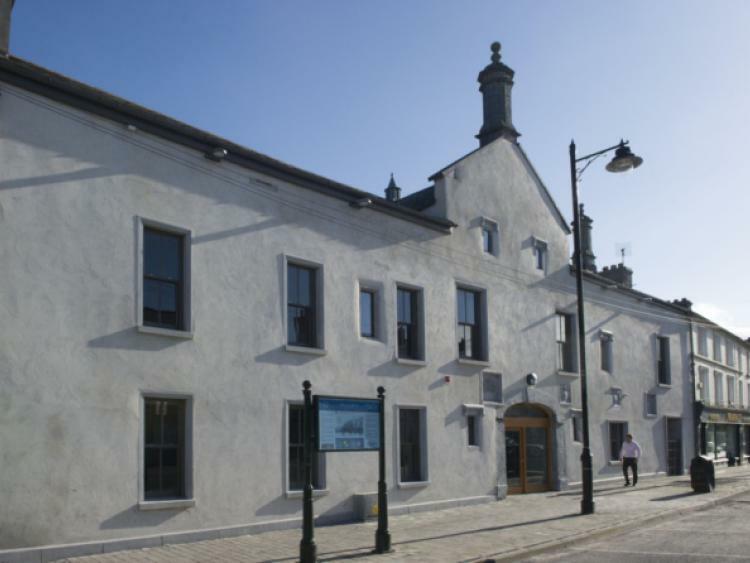 The priory is located a short distance from the castle past the Supervalu and Aldi supermarkets, on the Limerick road out-of-town. 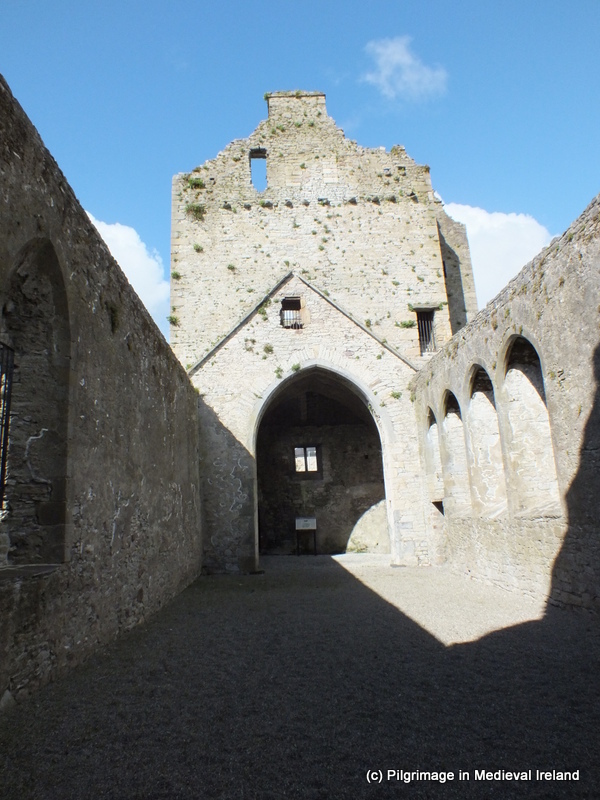 The Augustinian Priory of St Mary’s is situated on the banks of the river Suir opposite Cahir Saw mills and can be approached from the main road by a small lane. The priory was founded c.1220 by a Norman knight named Geoffrey de Camvill and given to the order the of the Augustinian Canons Regular (Gwynn & Hadcock, 1970, 162). In 1540 the prior Edmund Lonergan surrendered the monastery to Henry VIII (ibid). 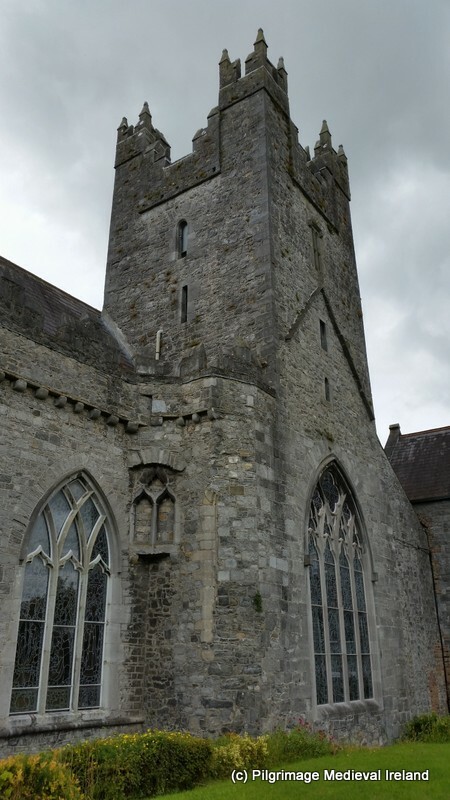 It appears that at the time the main monastic church was being used as a parish church so it was not taken by the crown but the surrounding monastic buildings were granted to Sir Thomas Butler the Baron of Cahir ( Hodkinson 1995, 148; Farrelly 2011). 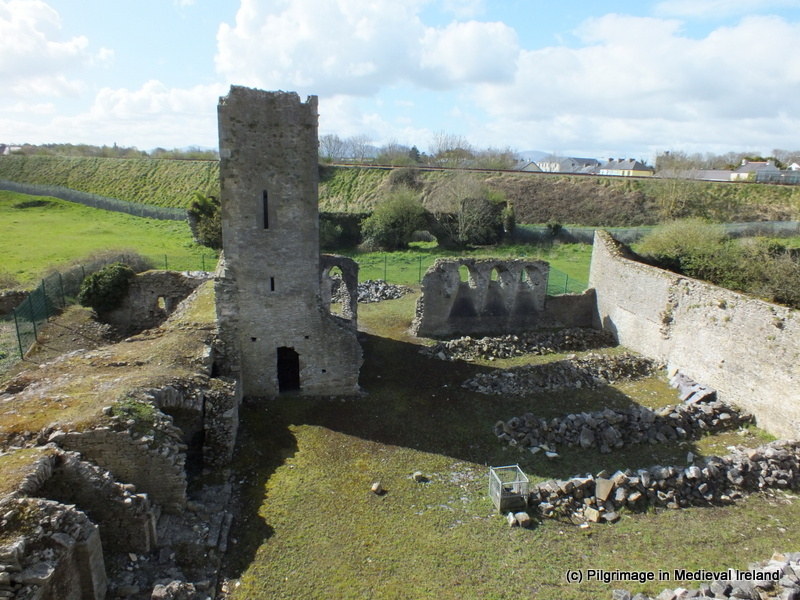 If you want to find out more about the priory’s history see Hodkinson’s article The medieval priory of St Mary’s, Cahir in the journal of the Tipperary Historical Society (reference below). Today the remains of the priory consist of a church with a large tower , a cloister and domestic buildings on the south side of the church. Like many medieval buildings St Mary’s priory is a multi phased, with evidence of the original 13th century buildings and further alterations and additions in the 15th and 16th/17th centuries. Today priory church is entered through two doors in the north wall. 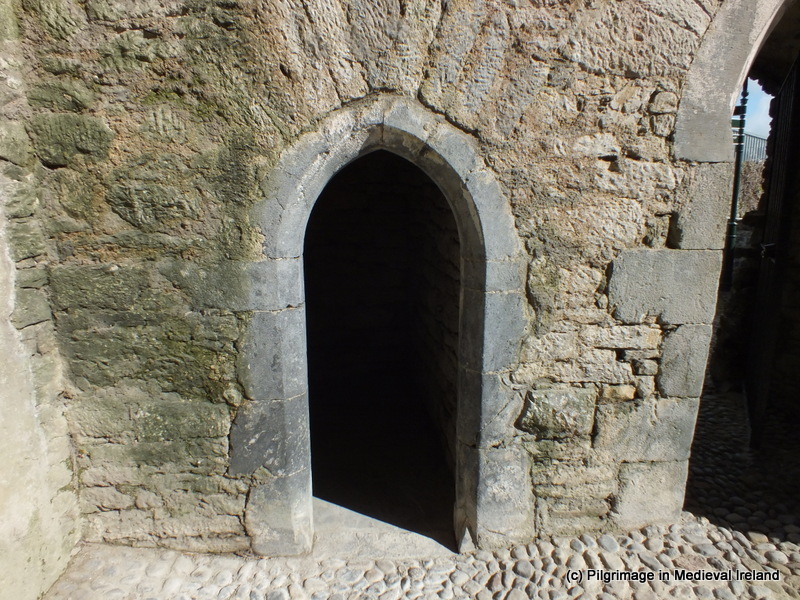 The western most door is a simple pointed limestone door. On either side of the interior of the door are two elaborate masons marks. 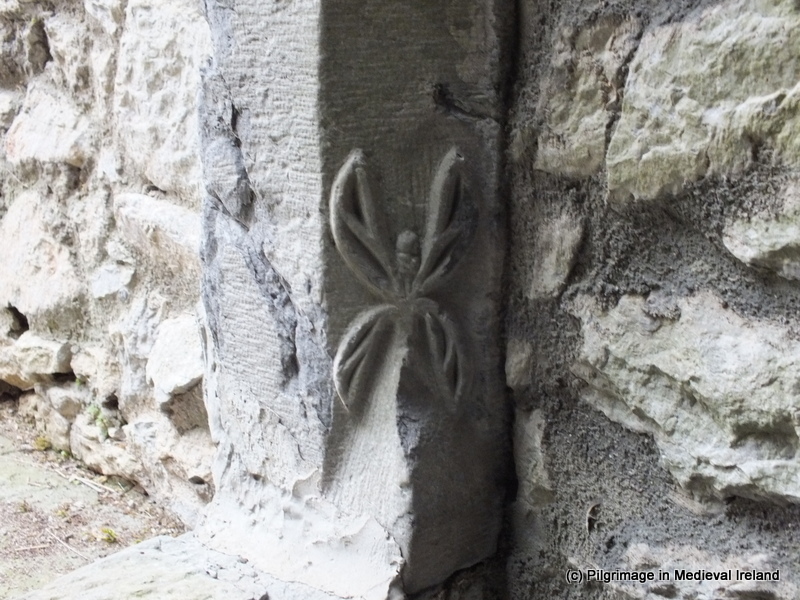 Masons mark are marks made by medieval stonemasons who cut the blocks, built walls, carved windows in medieval building. 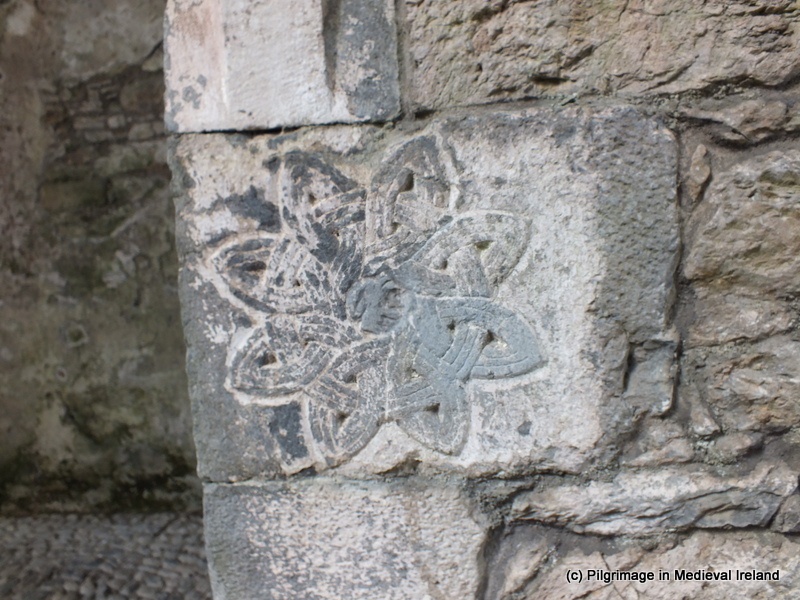 Each mason had his own distinctive mark and some like those at Cahir priory were very elaborate . There are a number of masons marks scattered throughout the building so keep your eyes peeled. Today the church consist of a large chancel and a 5 story tower, which appear to have been remodeled in the 15th -16th century. The tower is built over the crossing where the nave and chancel would have joined. The nave is no longer extant and Farrelly (2011) suggests the nave may have been destroyed when the tower was remodeled. The windows are a mix of carved limestone and sandstone. There are two very elaborate 15th century windows, one in the east gable of the church and the other in the north-east end of the north wall. The windows are carved of limestone and decorated with hooded molding and the carved heads of clerics. The east window is very ornate and the exterior has hooded molding with three carved heads and a large masons mark of a Celtic knot . Detail of the carved heads in the interior of the north-east window of the church. The church tower is very well-built and is accessible to the public. 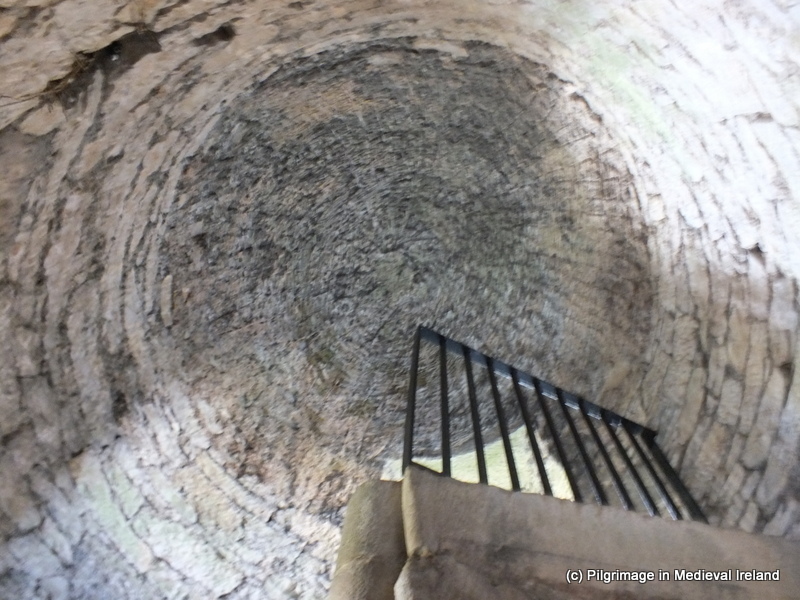 The tower is entered through a carved limestone pointed doorway. 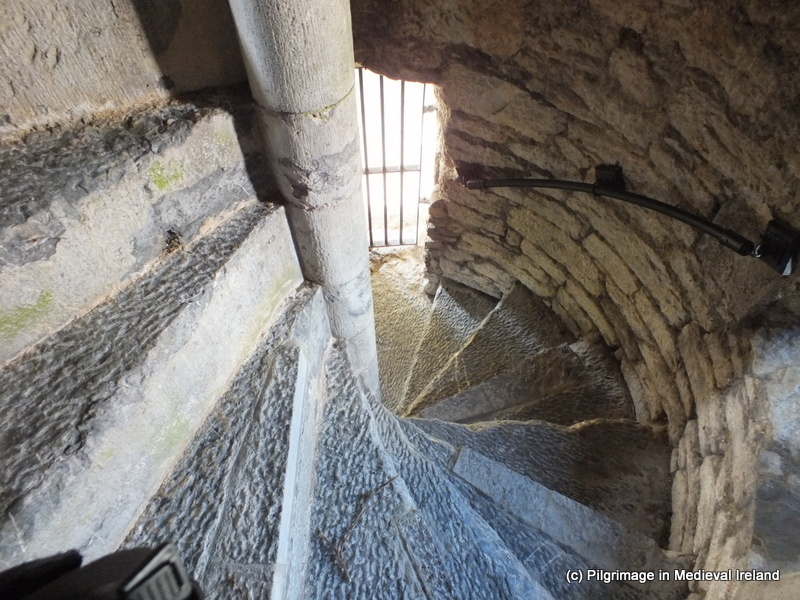 To get to the upper stories of the tower you climb a finely carved spiral staircase. The steps are a late addition and are surprisingly wide and easy to climb compared to narrow steps of earlier stairs at other monastic sites and castles. At the top of the stairs is a rounded ceiling. There is evidence of the wicker work frame used to support the ceiling as it was being constructed in the plaster. 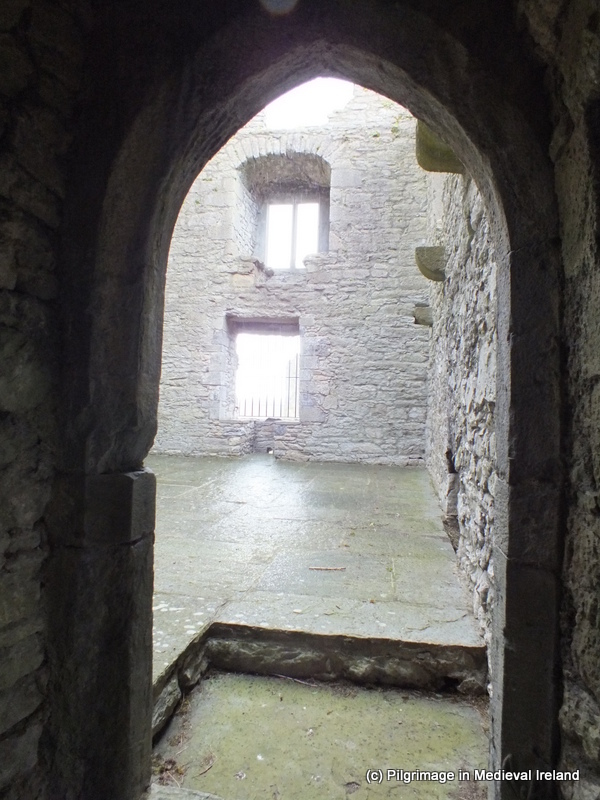 The upper floors are accessed through a pointed doorway at the top of the stairs. As you enter this floor look down at the base of the door and there you will see a fine example of a masons mark. The upper floors of the building were likely used for domestic purposes and two fine examples of fire places are seen in the east wall. The windows of the tower offer fantastic views of the church and the other monastic buildings. The monks would have had access to the cloister and its surrounding buildings through a doorway, now blocked up, in the south wall of the chancel. At present the buildings surrounding the cloister are not accessible to the public. The following photos were taken a few years ago . Along the east side of the cloister area are a series of vaulted rooms and south of these buildings is another a barrel-vaulted room which may have functioned as the chapter room (Farrelly 2011). At the south-east corner of the cloister is a tall narrow 4 story high tower which was used as a domestic building . East wall of narrow tower showing elaborate fire-place. Another building possibly a refectory was built on to the west side of this tower . Part of the south wall remains. This wall has three sandstone windows. Like the church the domestic building were also altered in the 15th century. The priory is surrounded by a 19th century graveyard on the north and east side and it was here that I found a bullaun stone. The stone originally had three hollows, one intact and two damaged. As I have mentioned in previous posts, bullaun stones are believed to be early medieval in date and may in some case have been associated with pilgrims. 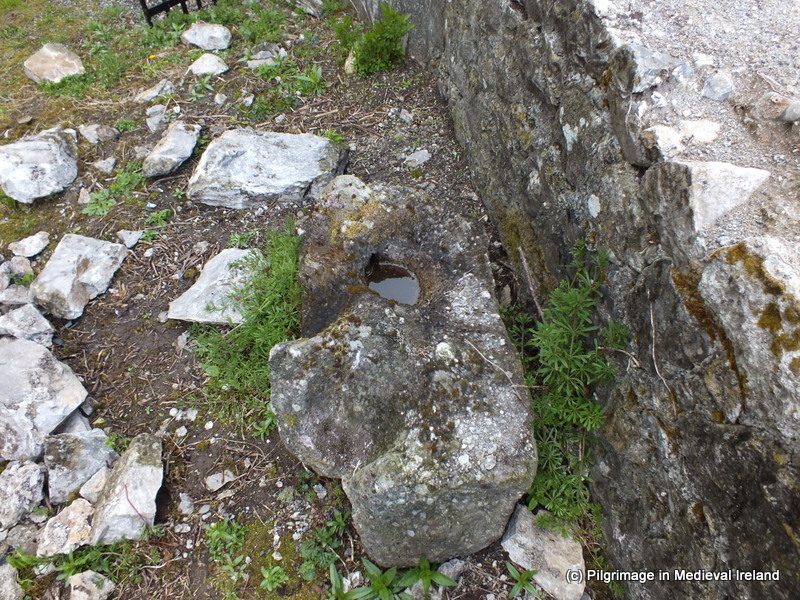 There is also a holy well know as Lady’s well a short distance away but time did not allow for a visit and I plan to return soon to find the well and will post more information then. 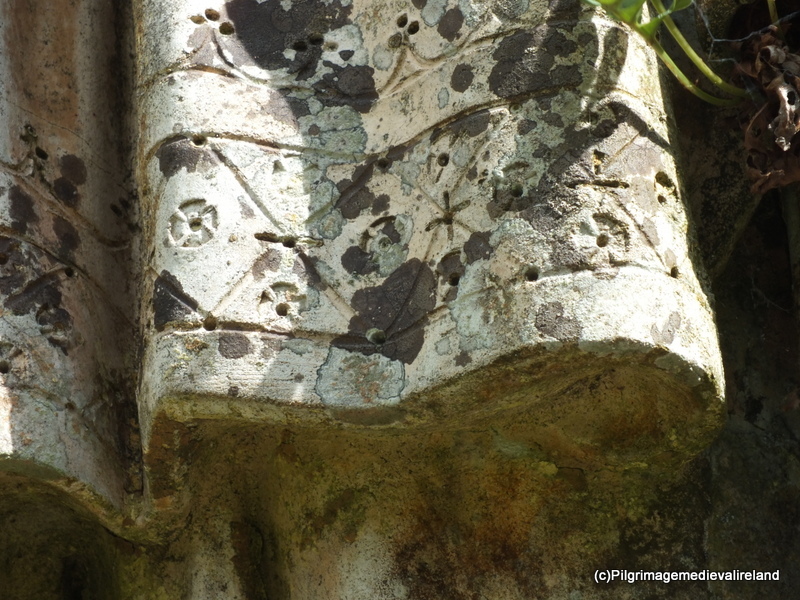 This post has only really just touched on the story of the priory, its history and its complex architectural remains but I hope it has given you a taste of what a wonderful place it is and you might be encouraged to visit and read more. Hodkinson, B. J. 1995. 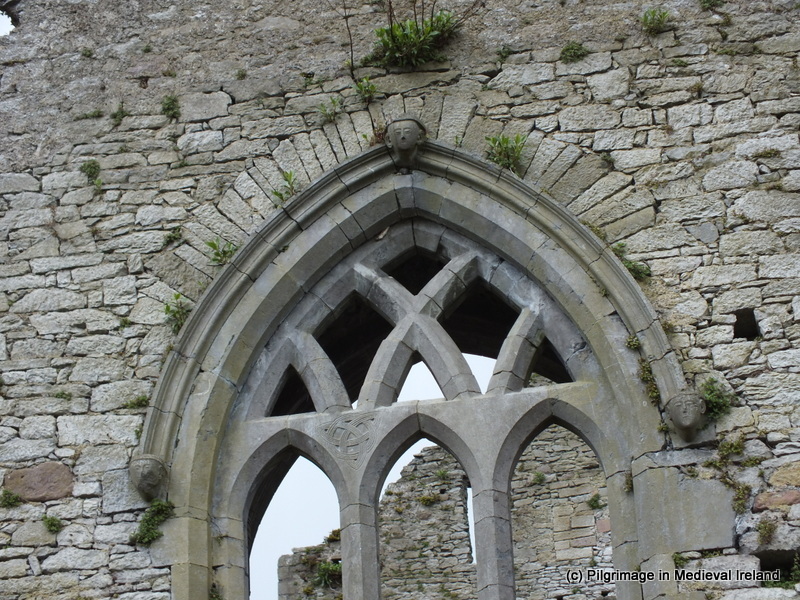 The medieval priory of St. Mary’s Cahir Tipperary Historical Journal, 148-50. Farrelly, J. 2011. 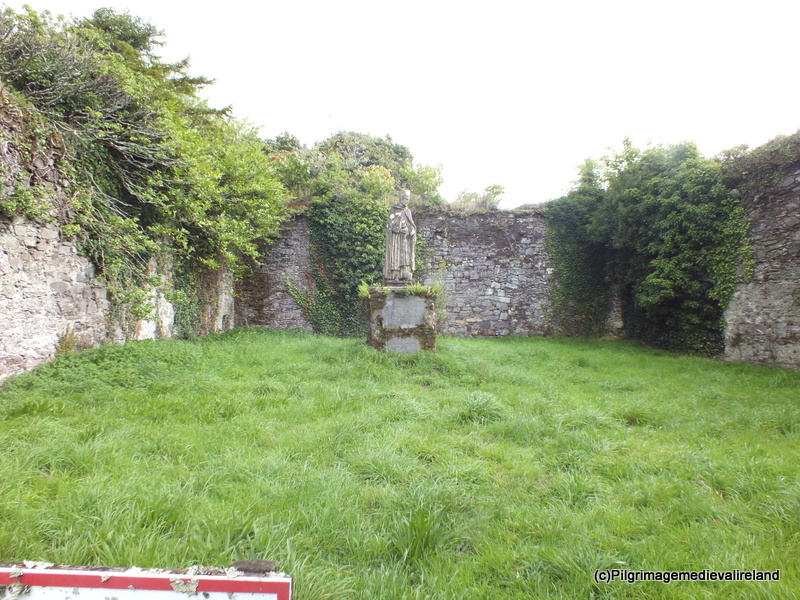 ‘TS075-048002- Cahir Priory’ http://webgis.archaeology.ie/NationalMonuments/FlexViewer/ accessed 25th April 2013. Gwynn, A. & Hadcock, R. N. 1970. 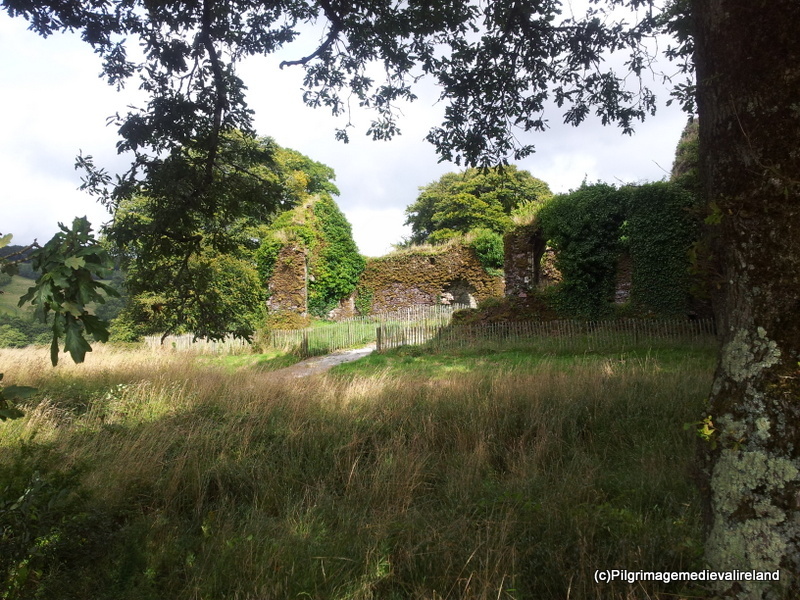 Medieval Religious Houses in Ireland. Dublin: Irish Academic Press. Salter, M. 2009. Abbeys and Friaries of Ireland. Worcester: Folly Publications.